Sharpham vineyard has one of the most beautiful settings on the banks of the river Dart where the sun reflects off the water on to the grapes. As a working dairy, the Sharpham Estate near Totnes is an ideal place to do a vineyard tour followed by a cheese and wine tasting. There’s something about the peaceful setting of Sharpham Vineyard that draws you in. What better way to while away a few hours than wandering through the vines followed by a tasting of their delicious wines and the cheese produced using the Estate’s very own Jersey milk. I came home with a bottle of the fruity Sharpham Estate. If you’re visiting for the Dartmouth Food Festival in October, do make the time to walk the vineyard trail. 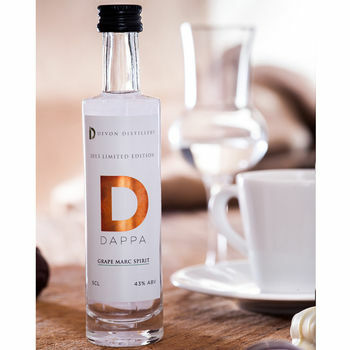 If you’re starting your Christmas shopping early, the miniature bottles of Dappa make great gifts for ski buddies. The 550 acre Sharpham Estate made its first bottle of wine in 1985. In a good year, it now produces up to 100,000 bottles, the majority of which are snapped up by local hotels, restaurants and pubs. You can taste both sparkling and still wines here including a white, a red and a rosé. Some of their wines like Bacchus, with its tropical lychee taste, are made using grapes from the nearby Sandridge vineyard. Come in the summer months to experience a guided tour of the vineyard. At other times of the year, you can do a self-guided walk. 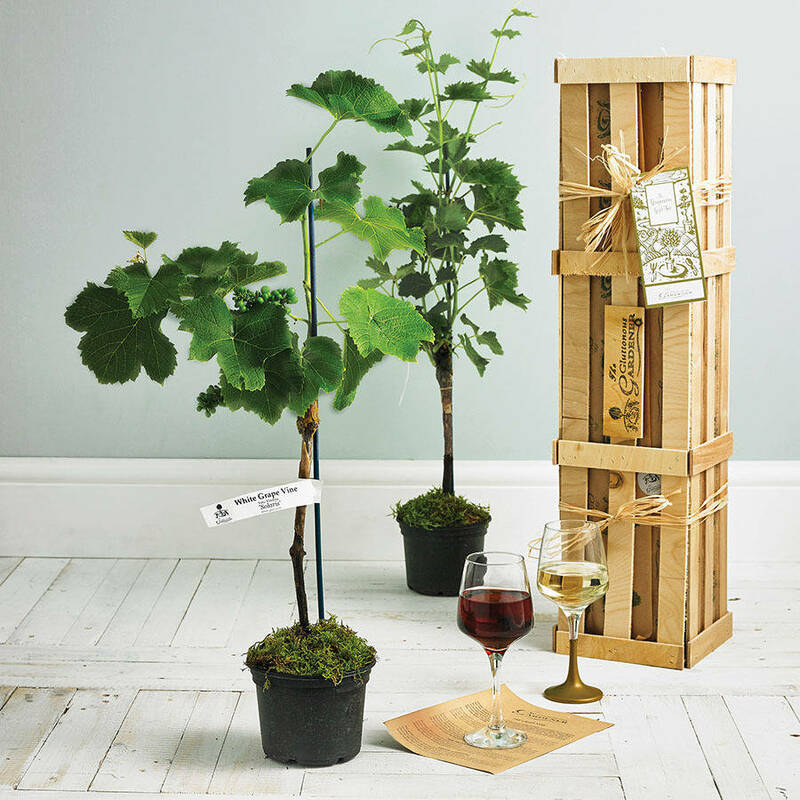 Each grape variety is labelled and there’s a handy leaflet that tells you more about each one. Madeleine Angevine, a white grape, is the main variety here. Originally from the Loire Valley, it was chosen because it’s relatively easy to grow in the UK. The walk takes approximately 30-45 minutes and will lead you past the house and down to the river. You can choose from a number of tasting packages depending upon how many wines you want to taste and whether you’d like to sample the cheese. For an all-singing, all-dancing tour, choose The Sharpham Experience which includes a tour of the house, vineyard and winery followed by a light lunch with a complimentary glass of wine. Make sure you taste Sharpham Estate, a dry citrusy white with hints of elderflower and the delicious rosé made with the Rondo grape which tastes like strawberries and cream. Next to the winery, you’ll find the dairy where they produce cheese using the rich milk from their Jersey cattle. They also produce a goats’ cheese. They’ve been making cheese at Sharpham since 1981 and have won a number of prestigious cheese awards. Visitors can peek through the windows of the creamery to see the various stages of the cheese-making process. It’s very good so don’t go home without tasting or buying some from the shop. The small shop stocks a range of chutneys to go with the cheese. Try the honey and marmalade chutney from Hillside Pickles. 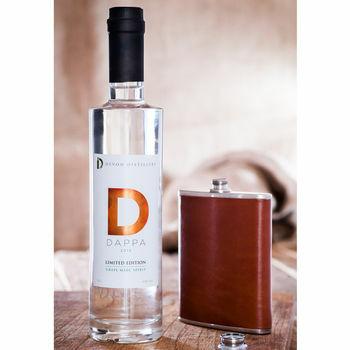 Other local products of interest include ‘Dappa’, a Devon-take on grappa, the Italian marc spirit and Bell & Loxton rapseed oil. There’s a picnic area outside so buy a bottle of wine to enjoy with your lunch. Alternatively, eat lunch at the vineyard’s Anchorstone café. Historic Dartington Hall in Totnes boasts a medieval courtyard and beautifully landscaped gardens. Rooms from £66 a night. Great for me. Just make sure I’m on my lead and if I have a mishap, you clean up after me. Find more Foodie Things To Do in Dartmouth. Discover more English Vineyards and Cheese Tasting Experiences.